© Asha Gopinathan. All rights reserved. 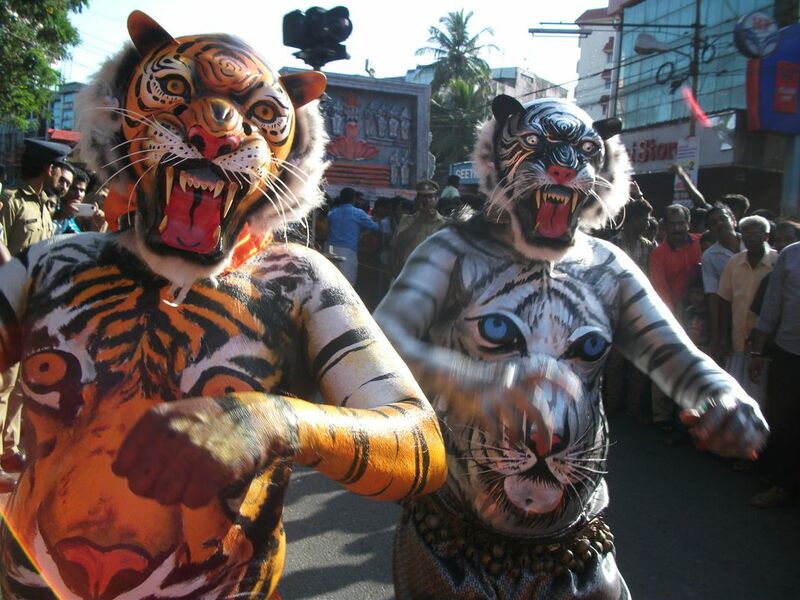 Two days after the harvest festival of Onam, people ( mostly men) in Thrissur district dress up as tigers and walk into the city centre. There are several teams and the best team is given a prize. Here two 'tigers' roar through the street. Date Uploaded: Nov. 29, 2016, 12:15 p.m.